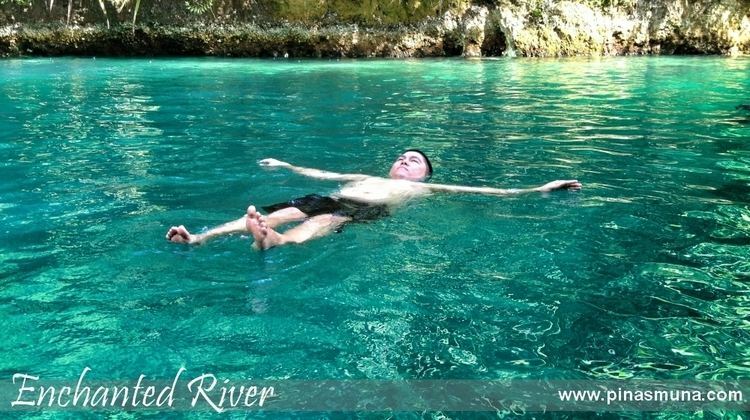 Surigao del Sur is a province of the Philippines located in the CARAGA region in Mindanao. Its capital is Tandag City. Surigao del Sur is located at the eastern coast of Mindanao and faces the Philippine Sea. Before the arrival of the Spanish in the 16th century, the aborigines of the province were the Mamanua and Manobo. Later, Austronesian peoples from the Visayas came to settle with the natives. It was with the arrival of the immigrants that the province acquired its name from one of the natives, Saliagao, who lived near the mouth of the river. The name Saliagao was later pronounced Surigao by the inhabitants. It is also said that long time ago, some Visayan fishermen forced by the strong current of the Surigao Strait, sought refuge in one of the huts somewhere in the province. The Mamanua who thought that these fishermen wanted to occupy the hut by force said “Agaw”, the term which was later given a prefix “Suri” by an immigrant. Surigao formerly, was extended from what is known as Agusan, including the islands east of it and the northern regions of Davao and the capital of the province that time was Caraga and so the Spaniards called the people Caragas. The aborigines of Surigao del Sur were a conglomeration and mixture of different racial types, namely: Mandaya, Mamanua, Mansaka and Manobo. These racial groups were of Malayan-Indonesian ancestry which took place thousand years ago. In the course of their migration, these primitive nomads were believed to have separated their ways in some portions of the archipelago in a spirit of adventure and search for food (i.e., during the pleisto scene of the glacial ages). It was believed further that they first settled in the northern island of the country who later took their bancas and reach the shores of Mindanao particularly in the Provinces of Surigao and Davao. They scattered among themselves in spots either in pairs or by family clans, retaining their own customs, dialects and ways of life. There was no trace of exact dates and places of arrival. But it was known that this group of people were very nomadic and were the remnants of the present Mamanua and Manobo found in the wilderness of the northern part of Davao bordering the Province of Surigao. Their migratory movement was said to have come from the hinterlands of Agusan and along the foothills of western and southern part of Surigao del Sur. It was pointed out that the cause of migration was due to famine and occurrence of death from diseases believed caused by evil spirits. At the time of its inception, it was classified as 4th Class province with an annual income of over P300,000.00. Seven years later, because of rapid increase of revenue collection particularly from the logging ventures, it has been reclassified as Ist Class B and in 1980 as Ist Class A with an estimated annual income of around P13,000,000.00. Presently, it is reclassified as 2nd Class with a revenue adding up to P315,888,300.63. Recaredo B. Castillo was the appointed the first governor and subsequently elected governor and Vicente L. Pimentel as the first elected congressman. Johnny T. Pimentel is the ninth and incumbent provincial executive. Originally the province had 13 municipalities. In subsequent years, six more were added raising the number to 19 with Tandag as the capital. Now, two of its municipalities have been elevated to cities; the first was Bislig City. In 2007 Tandag was granted cityhood but it was nullified via a controversial decision by the Supreme Court a year later. In 2009, Tandag would get back its city status after the SC reversed its own ruling on December 22, 2009.. The Province of Surigao del Sur is the 56th Philippine province and is located along the northeastern coast of Mindanao facing the Pacific Ocean between 125°40 to 126°20 east longitudes and 7°55 and 9°20 north latitudes. It is bounded on the northwest by the province of Surigao del Norte, on the southeast by Davao Oriental, on its eastern side by the Philippine Sea, and on the west and southwest by the provinces of Agusan del Norte and Agusan del Sur. Surigao del Sur is one of the supplier of agricultural items like, rice, banana and some tropical fruits. Copper, chromite and silver are also found here. Marine and aqua culture is very abundant in the province as well. It is one of the primary livelihood of the native people in the place as the province is well known for producing seafood and sea by-products. Bisligs main tourist attraction is the Tinuy-an Falls, known as the "Niagara Falls" of the Philippines. It is a white water curtain that flows in three levels about 55 meters high. Its critically acclaimed majestic and unique natural formation was once appeared in the International Travel Magazine. It is also known as the widest waterfalls in the Philippines. Surfing in Surigao del Sur is widely known and have been one of the local and tourist attractions. This extreme sport can be found in Cantilan and Lanuza. Another sport being played is the skimboarding in which several municipalities has been attracting tourists.